Office Depot just opened a coworking space inside one of its stores. Take a look inside. Office DepotOffice Depot in Los Gatos, California, is now part-office-supply store, part-office. Office Depot just opened a coworking space called the Workonomy Hub in Los Gatos, California. 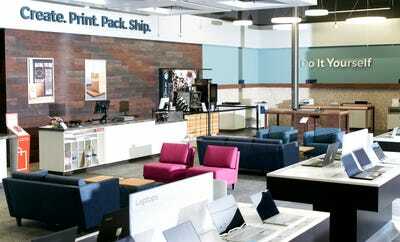 The space is located inside an Office Depot store and offers services like DIY copying, printing, packing, shipping, and tech support. It’s part of a larger Workonomy concept from Office Depot that is meant to help small businesses. The initiative includes tech-support kiosks that the company says will be in 141 Office Depot stores by the end of the month as well as self-service printing and copying kiosks that it says will be in more than 1,000 stores in the same period. Staples also has a coworking space, but Staples charges a monthly fee of $US130, whereas Office Depot’s space charges from $US40 for daily use to $US750 a month for a private office. 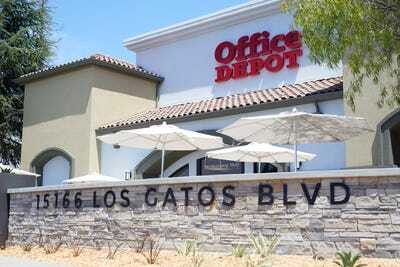 Office Depot is no longer just an office-supply store – now, one of its stores functions as an office, too. Office Depot just launched its first coworking space in its Los Gatos, California, retail location. 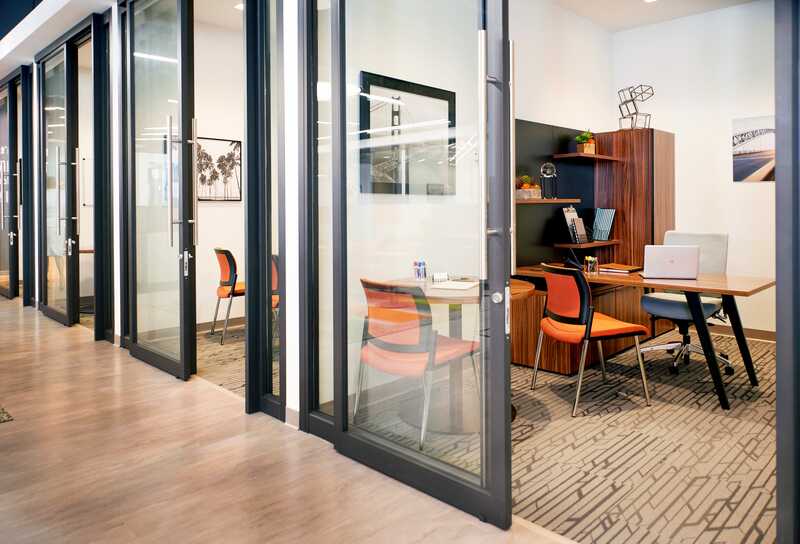 The coworking space, known as the Workonomy Hub, is the newest part of Office Depot’s Workonomy platform, a larger initiative aimed at small businesses. The initiative includes tech-support kiosks that the company says will be in 141 Office Depot stores by the end of the month and self-service printing and copying kiosks that it says will be in more than 1,000 stores in the same period. “We are relentlessly committed to helping small- to medium-sized businesses succeed with a consistent and tailored customer experience through Workonomy,” Office Depot CEO Gerry Smith said in a press release. Office Depot is a few years behind competitor Staples when it comes to coworking – Staples partnered with the workspace startup Workbar in 2016 to offer coworking spaces at three of its Massachusetts locations. The spaces are very similar, but Staples’ space requires a $US130-a-month membership to access, while Office Depot’s charges from $US40 for daily use to $US750 a month for private office. It makes sense that Office Depot and Staples would want to get into the coworking business. WeWork, the leader in coworking, is said to be raising additional equity funding at a $US35 billion valuation. The coworking space, called the Workonomy Hub, is located inside an Office Depot store in Los Gatos, California. … but it also has private offices for those who need them. The space is very bright and modern. The Workonomy Hub also has a Starbucks kiosk inside, as well as an online-order pickup station, printing station, shipping station, and lounge area. 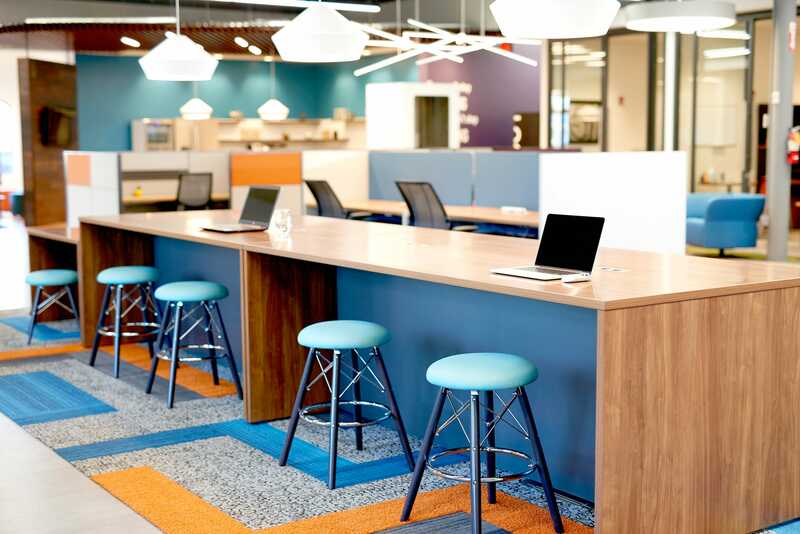 Staples offers what appears to be a very similar coworking space in three of its Massachusetts locations, but it costs $US130 a month to join. Office Depot’s coworking space has either a $US40 fee for daily use or costs $US750 a month for a private office.